The nature of the committee’s enterprise was clear from the start: to provide House members a public platform to play to their respective bases. On Monday, Gallup released its latest tracking poll, which showed Donald Trump’s popularity at an all-time low, with an approval rating of just 37 percent. Interestingly, his approval rating remains 10 points higher than that of Congress. Indeed, last year, Gallup found that between 2006 and 2016 the percentage of Americans who expressed confidence in Congress as an institution fell from 19 percent to 9 percent. Yesterday morning, in a crowded, cavernous hearing room on Capitol Hill, the House Permanent Select Committee on Intelligence held what was supposed to be a hearing on allegations of Russian interference in the 2016 presidential election. FBI Director James Comey made headlines by confirming to the committee that the bureau is conducting a counterintelligence investigation into some of the allegations, though he could not say which. 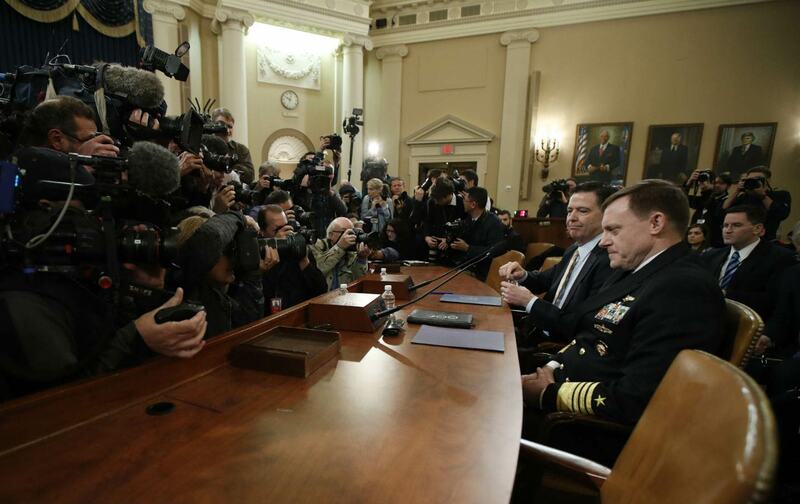 Of perhaps greater import was confirmation from Comey and NSA Director Mike Rogers that neither had any evidence that any votes were changed due to Russian meddling. Those two developments aside, the nature of the committee’s enterprise was clear from the start: to provide House members a public platform to play to their respective bases. The key question that Nunes and his fellow Republicans were to focus on during the course of the day was not that of Russian interference, per se, but of determining who in the US intelligence community “has leaked or facilitated leaks of classified information so that these individuals can be brought to justice.” In other words, the search is on for those who deigned to embarrass President Trump by leaking classified intelligence to The Washington Post and The New York Times. Schiff’s opening was replete with evidence-free assertions and innuendo. Though, as Schiff told NBC over the weekend, facts aren’t really necessary to the enterprise. For Schiff “circumstantial evidence of collusion” will do just fine. In addition to recycling the claims of the infamous and largely discredited “piss dossier” (much of it made up of unproven hearsay from a former British intelligence officer’s sources which—as the NYT’s Scott Shane noted, “journalists have been unable to confirm”) Schiff rattled off a series of meetings that Trump associates are said to have had with the Russian ambassador, Sergei Kislyak, casting aspersions on routine diplomatic encounters while giving seemingly no thought as to how this might affect our own diplomats—who are already operating in a difficult environment in Moscow. Throughout the five-hour hearing, the committee divided down partisan lines and spent most of the time talking past each other. For example, Republican members, following Nunes’s lead, focused on leaks from the intelligence community. Florida Congressman Tom Rooney declared the leaks a “violation of a sacred trust.” South Carolina’s Trey Gowdy pressed Comey over whether he, Comey, thought it was against the law to disseminate classified information (spoiler alert: Comey did). The Democrats, meanwhile, ran through a series of embarrassing Trump tweets and spent nearly as much time getting Comey and Rogers to debunk the president’s claim that he had been wiretapped as they did in smearing anyone with ties to Russia. In this respect, the line of questioning pursued by Representatives Jackie Speier and Eric Swalwell deserves special mention. Speier ran through a list of Trump advisers and appointees who she alleged to have unseemly, perhaps even treasonous, ties to Russia. She accused Secretary of State Rex Tillerson of doing “Putin’s bidding” and darkly noted that former Trump campaign adviser Michael Caputo was once “married [to] a Russian woman.” Trump foreign-policy adviser Carter Page drew Speier’s ire for having once worked at Merrill Lynch in Moscow and, perhaps worse, for having written articles “critical” of US foreign policy. Neither Caputo or Page have been charged with a crime but are being dragged through the mud because Speier has a political axe to grind. In short, the hearing was political theater and showed that we need an independent, bipartisan 9/11-style commission to investigate the allegations of Russian interference. Yesterday’s hearing proved once and for all that Congress is not up to the task. James CardenJames W. Carden is a contributing writer at The Nation and the executive editor for the American Committee for East-West Accord.